If there wasn’t enough to do in Seattle already, there’s a new tourist attraction that makes the city even more exciting. I’m talking about The Great Wheel — the new Seattle Ferris wheel. Not only is the Ferris wheel a nice addition to the skyline, but I think it’s also a fun ride for tourists and locals alike. The Seattle Ferris wheel first opened to the public in June 2012. It stands 175 feet tall, making it the tallest Ferris wheel on the West Coast. To make The Great Wheel even more unique, it was built on Pier 57 on the Seattle waterfront. That means the Ferris wheel literally stands more than 40-feet over the Puget Sound, so The Great Wheel offers views you can’t find anywhere else. Tove and I recently went for a ride on the Seattle Ferris wheel. It was part of our Seattle staycation in August. I had just moved back to the city after several years away, so I wanted to get acquainted with the city again. 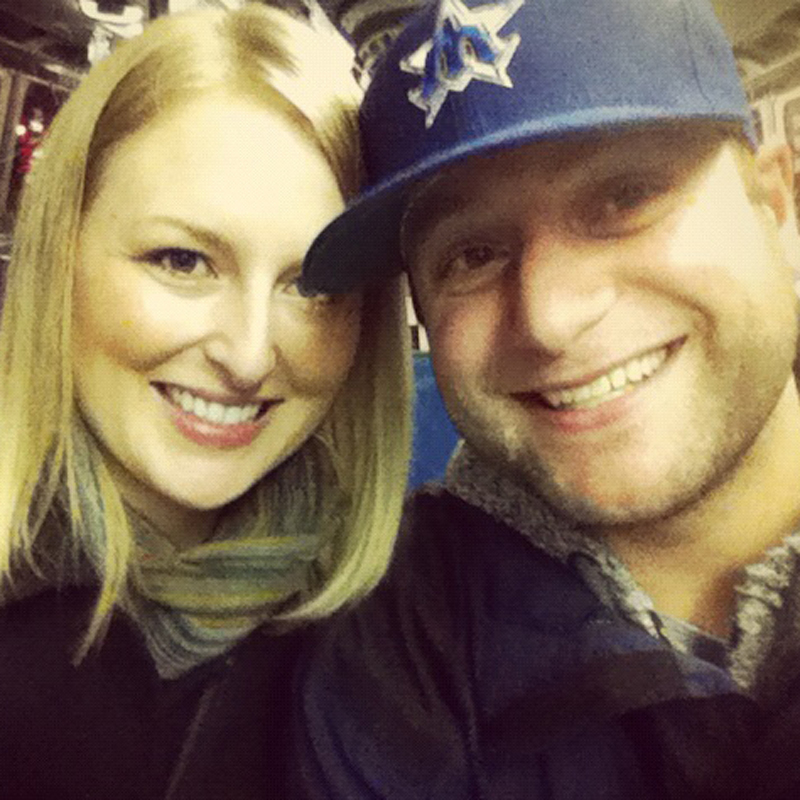 We checked out the Space Needle, Pike Place Market, The Great Wheel and more. 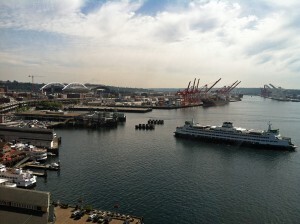 A ride on the Seattle Ferris wheel lasts about 25 minutes and consists of three revolutions. Much of your ride on The Great Wheel is spent starting and stopping, because they have to let people on and off the tourist attraction. That’s not a complaint though — the slow start/finish allows more time to just chill out and enjoy the spectacular views. There are two lines you have to wait in to get on the Seattle Ferris Wheel. One line is to buy tickets, while the other is for ticket holders to get on the ride. Tove and I learned a little secret before we went, and we bought our tickets for The Great Wheel online. Buying tickets beforehand allowed us to pass about 70 people who were waiting in line at the ticket booth. We suggest this for anyone who plans on taking a spin on the Seattle Ferris Wheel, especially in the summer when lines are typically longer (it will save you a bunch of time — we only had to wait about 20 minutes to get on the ride). A ticket on The Great Wheel costs $13 for an adult, $11 for seniors, $8.50 for children 4-11 years old, while kids 0-3 ride for free (although they still need a ticket). Keep this in mind — if the Seattle Ferris wheel is busy, and you don’t have enough people to fill a gondola on your own (a cabin seats six adults), you’ll likely have to ride with strangers. Tove and I sat with a family visiting from Houston. That was fine with us since we love meeting new people, but I know many people/families would like to ride alone. I’ve heard some people complain that The Great Wheel is overpriced or the ride isn’t long enough, but Tove and I enjoyed our experience. I would encourage everyone — tourists and locals — to take at least one ride on the Seattle Ferris wheel. If you don’t enjoy it as much as we did, at least you can say you’ve done it. Have you taken a ride on the Seattle Ferris wheel? What did you think? We would love to hear from you! Leave a message below or connect with us on Twitter, Facebook and Google+. Don’t forget to also scope out Seattle Bloggers for more on things to do in the Emerald City! The wheel is worth trying once. My only complaint was being seated with another group which made for a cozy ride.. seated and gazing directly at each other.